Every horse has his or her own individual story of facing tough circumstances, then overcoming challenges to go on to lead healthy, happy and productive lives. These horses make outstanding role models for participants in all of our programs. Just like human beings, each member of the herd is unique and has a distinct personality. All of these horses have much to teach us about safety, trust, relationships and perseverance. Finding a suitable “job” for this former equine triathlete inspired the founding of Project Horse in 2008. 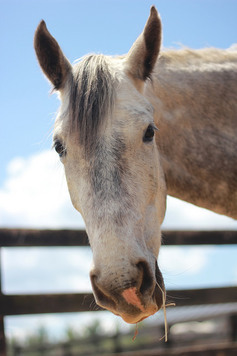 No stranger to abuse, neglect or starvation, Foster is enjoying a second lease on life at Project Horse. Killian, like many people, has endured a lot of challenges and setbacks in his young life. It wasn't all fun and games for Gracie before she arrived at Project Horse. Gracie bounced around before finding her forever home. Rocksy had wandered for awhile before coming to Project Horse. Her weight was getting out of control and her feet were getting very sore. Balladeer, affectionately known as "B", officially joined Project Horse in December 2016 after a successful eventing career. Uncanny is one of the gentlest souls we have ever had the pleasure of working with. Malachi had a not so illustrious racing career, and was on his way to slaughter when he was rescued. Successfully recovered from an injury that ended her high level eventing career, Iggy is passionate and proud with a larger-than-life personality. Fiona Fudge may be small, but what she lacks in size she makes up for in personality! She is always up for a challenge and willing to try just about anything. When Penny was rescued from an auction house, her rescuers thought they were getting just one horse, but they were in for a surprise. With his sassy yet loving attitude and wild thick mane, Jack is sometimes fondly referred to as "Jack Bon Jovi". 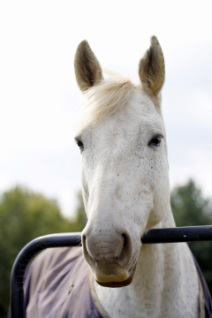 Sweet Val, who helped start Project Horse's Mobile Minis Program, sadly left our pastures on August 1, 2015. She is missed by the many fans she had, young and old. Valentine was born on February 14, 1993, and came to us with several health related issues. Complications of a chronic liver condition ultimately took Valentine. Bella is a lovely mare who quickly became a program favorite. She is now living closer to her owner. Dolly was on loan to Project Horse and is now enjoying being a pasture mate and teacher to a young horse on her family's farm near Charlottesville, Virginia. Fancy's owner adopted her to a veterinarian, and Fancy now lives on a farm where she has befriended some cow friends. 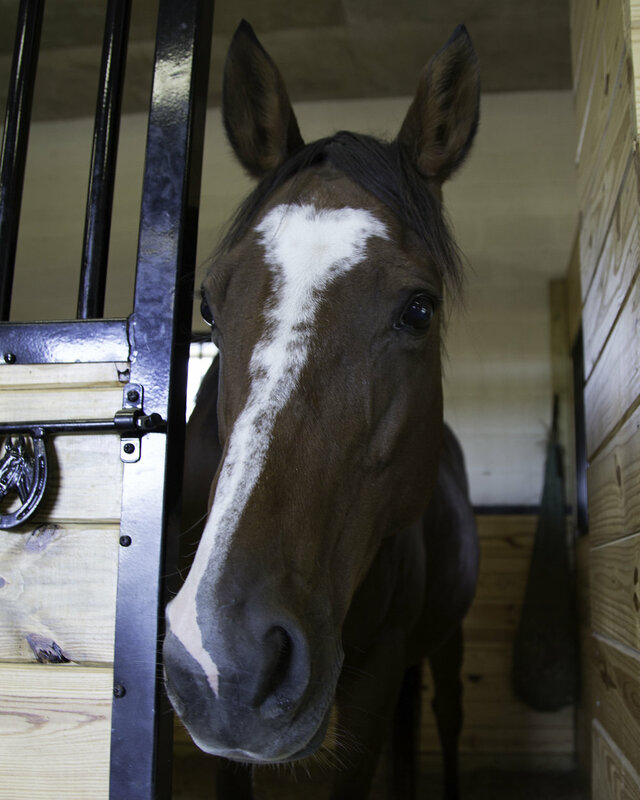 Project Horse volunteer, Amy, still visits Fancy regularly and lets us know she's doing great! Toby and his owner were ready to learn and practice the sport of distance trail riding, and they have embarked on new adventures! Hope's extremely loving and affectionate attitude made her an instant client favorite. Hope has moved closer to her owner and will be missed by many at Project Horse.